Plas Coch Coastal & Country Retreat has scooped the title of Holiday Park Pool Of The Year in this year’s UK Pool & Spa Awards. The Leisure Complex, part of an outstanding holiday resort in Anglesey, has recently undergone some remodelling, in order to offer more privacy for guests and to improve the exterior pool area. 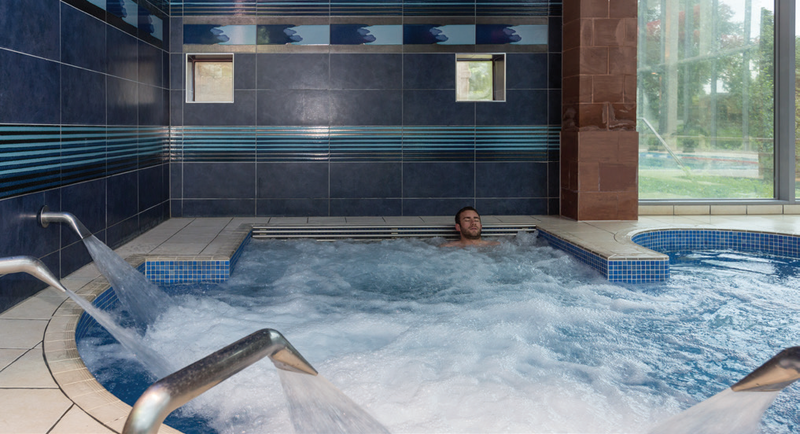 This year has seen the addition of an even wider variety of water based activities to our calendar, such as kayaking, underwater explores and birthday pool parties Exclusive to Plas Coch members, Plas Coch’s luxury hydrotherapy pools are designed to provide state of the art hydrotherapy treatments. Being immersed, buoyant or massaged in water relieves the body in a variety of different ways, ensuring guests feel fully relaxed. The pools use varying temperatures and speeds of water, allowing a different pampering experience as guests travel through the pool. The facility is overseen by Leisure Complex Manager, Luke Mitchell, Assistant Complex Manager, Cole Whittle and Complex Supervisor, Chris McNaught with Estelle Loynd as Activity Coordinator.